They say that the best things in life aren't free. 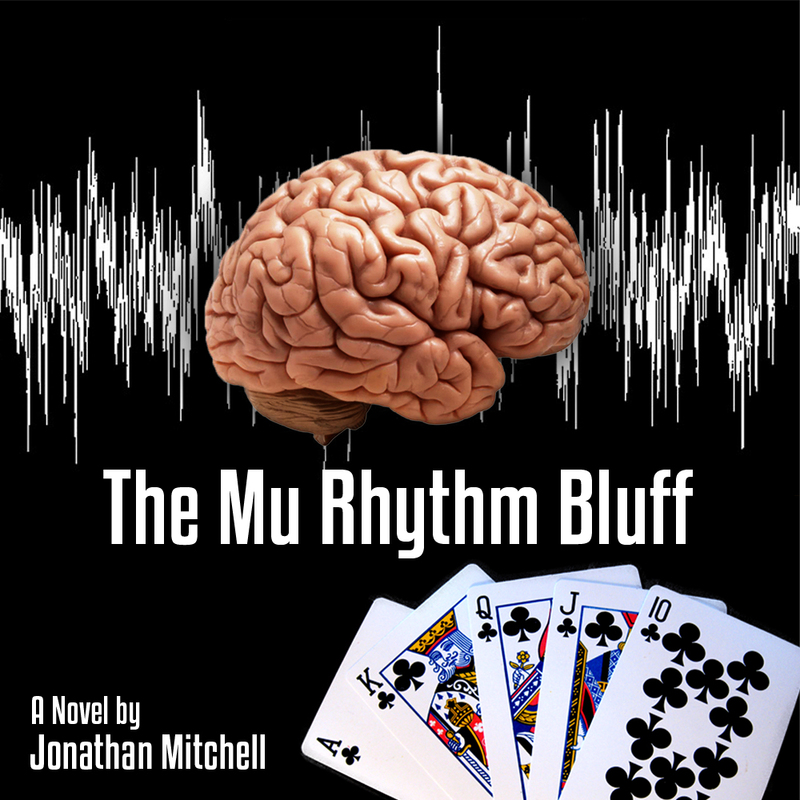 Well maybe my novel, "The Mu Rhythm Bluff" isn't the best thing in life, but it's going to be free. At least between April 1 and April 5. It's my own way of kicking off autism awareness month. I won't be able to offer it free again until July I don't think, the way that Amazon works. Of course normally it's less than three dollars so it's still a bargain. Not easy to sell ebooks as I'm beginning to find out. Let's see if I can give at least a few copies away. Again, here's the link to the novel in case anyone's interested: link here for free download from April 1 to April 5.
has autism speaks hired its first autistic employee? For a long time now, I've complained about the fact that autism speaks advocates that businesses hire autistics, but as far as I've known, has never hired an autistic person as a paid employee to work in their organization. It would appear that this has recently changed. I must say, if Kerry Magro is a paid employee in their organization, I'm gratified. His official title is "Social Marketing Coordinator". I'm trying to figure out what a social marketing coordinator does. Mr. Magro, in the post, is quite vague about what his job entails. I'm rather curious. Magro is an individual I'm already somewhat familiar with as he has posted not infrequently on autism speaks' web pages and blogs. He's been described as an "autism speaks staffer", though it was unclear to me just what specifically his position was with autism speaks, what he did for them besides write a few blog posts and whether this was a paid position or not. A couple of years ago I wrote a previous blog post where I took Mr. Magro to task for recommending there be affirmative action for autistics in the workplace and autism speaks publishing this on their blog when they had apparently never hired an autistic employee. The post states that Magro was involved in some sort of employment think tank that autism speaks was conducting. I have to wonder about the credibility of someone quite young, barely out of college, who as far as I could tell has never worked before, being included in an endeavor like this. Though Kerry has some unique qualifications that others in the think tank probably don't have, i.e. being on the spectrum himself, I have to wonder about a program that includes the input of someone with so little experience in the actual workplace. I have to wonder what this program is like, what the other people's qualifications may have been. I'm glad now that AS is starting to practice what they preach and giving an individual with autism (albeit an extremely high functioning one) a chance at a mainstream job. I hope this works out for Kerry Magro and he can perhaps be a credit and an asset to an organization marred with all sorts of problems, which, at least in my opinion so far, has not been very helpful to persons with autism. However, Magro is highly functioning and educated, in the process of obtaining a masters degree. What of persons (probably myself included) who don't function at Magro's level? Will autism speaks offer them employment in less executive type jobs (I'm assuming a social marketing coordinator is a more executive job, though I have no idea what this position entails as I've said before) such as data entry or even filing or janitorial work. Perhaps now that AS has become enlightened enough to hire one autistic person, perhaps they could hire some others. Of course, perhaps hiring a less functional autistic as a janitor might be considered bad publicity and this apparent sock puppet of the ND movement might be worried about flack they would get from ND's who might take umbrage at any autistic working a menial job. I see that AS has a new employment tool kit coming out soon. I await this with bated breath. Again, I wish Magro luck in his new position (whatever it is) and I hope AS will hire other paid employees on the spectrum. As a side note to this post, I hope you can read it as the logo for my new novel may be getting in the way. I apologize to any readers of autism's gadfly for any inconvenience this might cause, but I don't know how to make it smaller or position it in a place more suitable and I still want to promote my novel. As regular readers of my blog know, I've been talking about it for quite some time. 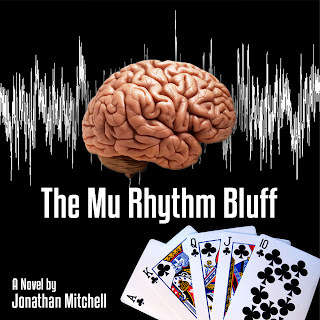 I was working on self-publishing my novel "The Mu Rhythm Bluff". By clicking on this link, you can go to Amazon and read the first few chapters for free. If you're interested and you have a Kindle, you can purchase it for less than $3.00. You can also check out the artwork by my talented cover artist, Liz Ingersoll. I'm not sure if she has a web site that I can link to in case you want to hire her for a project, but if I find out about one if she gives my consent to give her business a plug, I'll do so and edit this post. Some people are lucky at cards, others are lucky at love. Drake Dumas is neither. He loves to play poker, though he nearly always loses. He's 49 years old and still a virgin. He either can't get up the nerve to ask women out or he's constantly rejected due to his behavior. After losing his job, incurring gambling debts and having to move back in with his parents, he hears of an experimental treatment involving suppression of brain waves called Mu rhythms. Also, transcranial magnetic stimulation which can be used to enhance or inhibit the brain. Instead of mitigating his autism, it appears to turn him into an expert poker player, unbeatable by even world class players. When word gets around of his poker prowess, his luck with women seems to change. However, the old French proverb lucky at cards, unlucky at love does seem to ring true for Drake. He only seems to have his poker prowess when he's celibate and not involved with a woman. When he loses the girl, the poker skills return. He must get to the bottom of this and find a way to permanently keep his skills. His situation is also complicated by a beguiling reporter who writes an article trivializing his disability and won't seem to leave him alone. Will she cause danger for Drake? In the process Drake may learn some things about himself, his autism and love. As some already know, this is not my first novel. I have also written several short stories, 14 of them are on my web page which you can check out. My first novel, "The School of Hard Knocks" was about the experiences of a young autistic boy in an abusive special education school. I was not able to get it published and I probably won't bother publishing it on Kindle Direct Publishing without some serious revision, which I may or may not do at some point. I believe my second novel is closer to publishable quality but may still not be there. However, I don't know how I can make it better and don't have thousands of bucks to pay a book doctor or editor, who may not even be helpful. So, here it is, ready or not. I was able to read "The School of Hard Knocks" on a national radio program, so maybe I can repeat that with this one and sell a few more copies. I submitted an earlier version and have sold two copies as of this writing. It had a few problems, so I resubmitted it. I apologize to those who bought the first two copies and I notified amazon and hopefully whoever you are, you can get the updated copy without additional charge or problems. Now, I have to work on getting a side bar in the artwork and a link, hopefully I'll be able to do this. I know everyone is enthralled with the 1 in 50 story (which I may write about in a subsequent post), but maybe you can take a break from that, and check out my novel. Again if the concept of this novel appeals to you or you've just been a reader of my blog and want to help me out, buy the book and help me out. Thanks in advance to anyone who does so.